Head any good tech news lately? Smoke has had a long and illustrious career, but for many years was only available to those with deep pockets – and a willingness to use Linux. Several years ago Smoke for Mac (or as we call it, “SMac”) was released, and although it lacked some of the features it’s Linux big brother had, it gave many users the opportunity to begin the foray into high end finishing. At $14,999, it enticed many users. What the low price hid, however, was that a complete system that met the basic requirements – and gave you a pleasurable post experience, bumped the total price up to $30,00 or more. Completely new interface: Mac inspired, and designed to be a more familiar and easy to use interface to those who are currently editing. The interface has always been a stumbling block, which didn’t conform to traditional editing paradigm NLE interfaces (see: Avid Media Composer, Adobe Prmiere, Final Cut Pro 1-7, Sony Vegas, etc.) 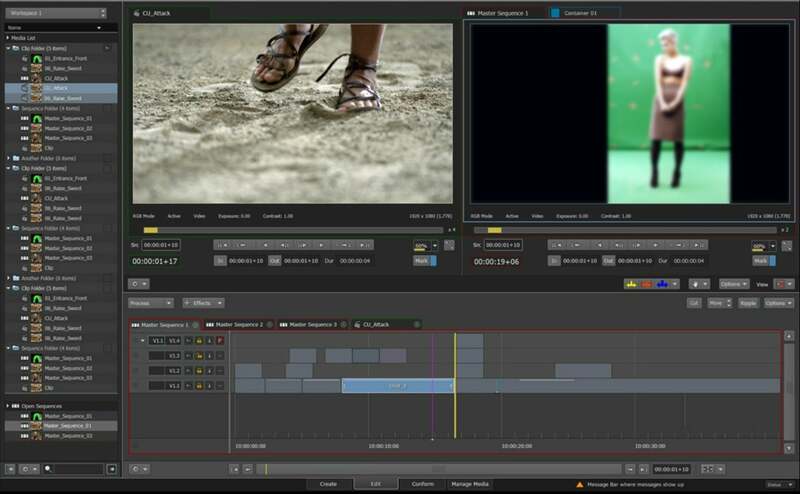 This new look has a traditional timeline, source and record monitor, and media library – all on one screen – plus, tabbed window configurations for editing, finishing and media management. This, almost certainly, will help traditional editors make the leap into utilizing the tools that Smoke offers. This also promises to more efficiently bridge the gap between editing and effects, which was clunky at best in previous incarnations of Smoke. Lower system requirements: As previous mentioned, a beefy enough system with video I/O, GPU, and storage still made affordable finishing somewhat unreachable. With this release, and at the time of this post, Autodesk calculates that a portable Mac laptop system powerful enough and with appropriate storage, could start as low as $7000 US. Pricing: The new proposed pricing for Smoke 2013 for Mac will be $3495 (US). 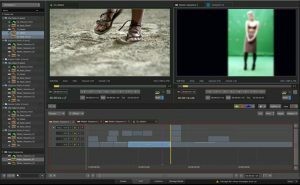 While more expensive than traditional editors ($2500 for Media Composer, $300 for FCP X, etc.) the enhanced finishing ability within Smoke is still less expensive than the collection of editing and finishing applications a post facility would need to invest in to equal the features within Smoke. This release also marks the first time I’ve seen a push from Autodesk to capture a user base outside of their traditional Broadcast and Post market, as this new release will certainly find a home in cable, corporate, institutional, and smaller video production facilities. Autodesk plans to offer a technology preview of Smoke for Mac 2013 as a pre-release to garner feedback from users in the community starting this June, although I currently have no other information on these plans. The target launch date for the software is slated to be September of 2012.